DIARY OF A PUBLIC SCHOOL TEACHER! : How Emportent Is Gramar and Splling? Grammarly Thinks, Very! How Emportent Is Gramar and Splling? Grammarly Thinks, Very! Spelling and/or grammar errors bother me. It bothers me when words are spelled incorrectly. It bothers me when I see signs, emails, and/or posts with the word your when it should be, you're. I know I shouldn't let it bother me, but it does. There are times when I have walked through the hallways, read students' work, and cringed. We seem to have become a society where spelling and grammar are not supposed to matter. Where we should allow our students' writing to flow, spelling and grammar be damned. But I can't do it! It might be because I am "old school". It might be that eventually our students are going to be in a situation where spelling and grammar are necessary. I believe that if you are going to write a final copy, adult or child, your spelling and grammar should be correct. I am not a perfectionist, I understand typos, I am guilty of them myself. However, as our students progress through middle school, high school, and college, how they write becomes even more crucial. An essay that is phenomenal in content, but can not be understood because of spelling and/or grammatical errors, will not be judged as phenomenal! Sometimes you need a little help! I think students, and adults, should know how to spell and write using correct grammar. However, we can't all be that person. So, we call in the reinforcements. In this case, a Grammar Check site, Grammarly, will come to the rescue! Keep in mind,this site is not just for students. Educators, bloggers, authors, anyone who puts fingers to the keyboard, or however you're publishing these days, can take advantage of this site. The report not only highlights what is wrong in your document, but also explains why it is wrong, and offers suggestions! Still stuck? 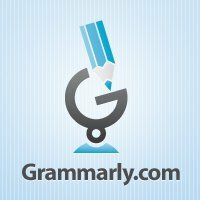 You can access Grammmarly answers or the Grammarly community. There is a Grammarly Handbook available as well. Here's another plus for educators! The plagiarism feature points out portions, if any, that is believed to be lifted from other text on the Web. In my opinion, I think it is better suited for higher ed in terms of individual use. I would use it with my 5th graders in small groups, correcting errors on papers students have published, (anonymously of course). Or use it as a mini-lesson to guide instruction, working our way towards better writing. Content is important, but spelling and/or grammar are too. And as a blogger, I believe this is a great investment! Is Grammarly perfect? No, it is a tool to be used to supplement writing, a proofreader. When I used the plagiarism feature, it thought I had plagiarized a phrase. Never! But, just like any other tool you use, decide what you think is best for you. Grammarly offers a FREE trial so that you can determine if this is a product that would benefit you. On their Twitter page, one of their tweets says, "Friends don't let friends use bad grammar." Think of Grammarly as your friend!